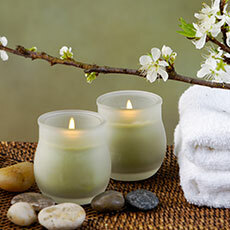 Reflexologists are trusted to improve the overall health and well-being of their clients. Your reflexology training allows you to perform individualized treatment to provide the best care possible. However, accidents do happen, even to well-trained and highly skilled reflexologists. The financial repercussions from a single claim could seize up your assets and put you out of business. Before treating clients, you need reflexology insurance. The training you received as a reflexologist gave you unique skills and knowledge. Unfortunately, it can’t prepare you for everything that could happen during a session. For example, what if you started rubbing an aged client’s foot and their bones fracture? What if a client tripped and fell in the treatment room? Or, what if your treatment aggravated an injury? Incidents like these could mean expensive medical costs or lawsuits. If you're not covered with reflexology insurance, these expenses could put you out of business. We don’t want that to happen to you. Our online Beauty and Bodywork Insurance (BBI) offers liability coverage for student and professional reflexologists at a price that can’t be beat. Having a policy can also give you assurance that your reflexology supplies and equipment are protected.